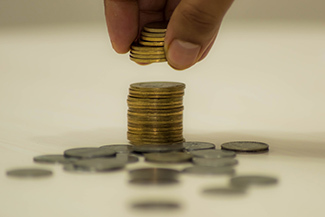 Online lending platform Capital Float, operated by Bangalore-based Zen Lefin Pvt Ltd, has secured $25 million (Rs 170 crore) in a Series B funding round led by Creation Investments Capital Management. Existing investors SAIF Partners, Sequoia India and Aspada also took part in this round, the company said in a statement. This is the company's third round of funding, bringing the total capital raised thus far to $42 million. Capital Float will use the funds to expand its lending footprint to about 20,000 small and medium enterprises in more than 100 cities and introduce new financial products online. The startup will also focus on bringing on board new talent to build its team, co-founder and managing director Sashank Rishyasringa told Techcircle.in. This will also enable the company to widen its capital sources on the platform: in addition to lending from its own balance sheet, Capital Float operates a lending marketplace where banks and non-banking financial companies also participate. Capital Float's clientele includes small manufacturers, services companies and retailers. Apparel and textiles, travel and transportation and e-commerce merchants are the largest sectors, respectively, that Capital Float caters to under each category. The firm has disbursed loans worth Rs 400 crore till date, Rishyasringa said. Capital Float was founded in 2013 by Standford University alumni Sashank Rishyasringa and Gaurav Hinduja. They said in a statement that the company is lowering the cost of delivery for micro loans by using a blend of technology and data. In February 2015, the company secured $13 million (Rs 81 crore) in Series A funding from Sequoia Capital with participation of existing investors SAIF Partners and Aspada. Besides Bangalore, the firm also has offices in Mumbai and Delhi. The company provides loans to underserved small businesses in India via a technology-led loan origination and credit underwriting platform. It claims businesses can apply online in minutes and get funds in less than 24 hours. The company's product offerings include e-commerce seller financing, term loans, receivables financing, lines of credit and commercial vehicle loan. Aspada Capital Float Creation Investments Capital Management online lending SAIF Partners Sequoia India Series B Zen Lefin Pvt. Ltd.